The word “nonprofit” doesn’t quite do justice to The Runnels Foundation, founded in August by local plastic surgeon Dr. Scott Runnels. He will lose a small but significant part of his practice at the Runnels Center in Flowood if his foundation’s breast-cancer initiative, Operation Bloom, is successful. Through Operation Bloom, “we are simply taking the best tools we have… into underserved communities so that women at risk will get early, definitive and curative treatment,” Runnels said. Catching the cancer in its early stages will mean fewer mastectomies, which will mean a little less business for Runnels, who specializes in breast reconstruction. 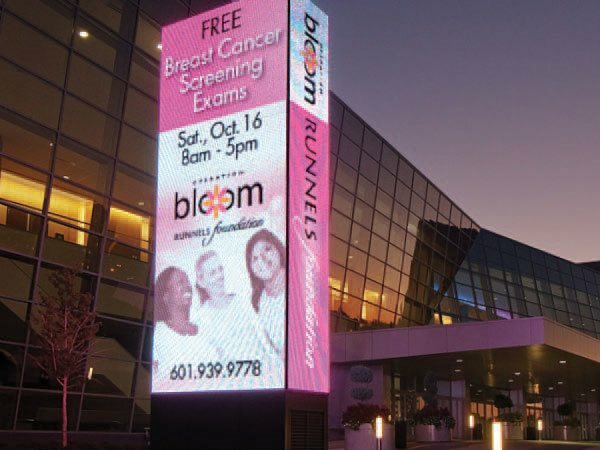 Operation Bloom will provide professional screening exams and self-breast exam education to people in Jackson, and “we would like to grow and be able to bring this service to as many people as possible in surrounding areas,” Gunter said. The first free screening offered by Operation Bloom was held October 16 at the Jackson Convention Complex, with the help of medical professionals and other volunteers from local hospitals, schools, churches and other organizations. Operation Bloom is not Dr. Runnels’ first foray into the fight against breast cancer. He had been involved with several breast-cancer fundraisers for over a decade when he realized that a portion of women in Mississippi still weren’t being reached, regardless of how much money the different programs raised. These women were not diagnosed until late stage and had little hope of beating the disease.